New Efficiency - up to 160lm/W! Explossionproof EXL fixtures series with efficiency up to 160lm/W! Our vandalproof light fitting with LED modules already obtained ENEC certificate and PKP PLK approval! Water and dustproof industrial light fitting with encapsulated LED modules designed for use in highly corrosive environments. Housing made of stainless steel, diffuser made of tempered glass of safety glass. Industrial floodlight with very high output LED modules. Equipped with focusing lens. Thanks to use of optional vibro-insulators it is suitable to work in places exposed to the occurrence of vibrations. We are professional lighting manufacturer but we also provide specialised services. Our technicians will help you choose correct explosionproof equipment. Because of growing electric energy costs our engineers can offer more efficient lighting. We are place of production for other companies as an OEM manufacturer. Our light fittings INS360LED are fitted with Safety Glass lens in meat processing plants. Our explosion proof fittings light down interior of malt house. Our INV320LED light down in modern platform in Gdynia. 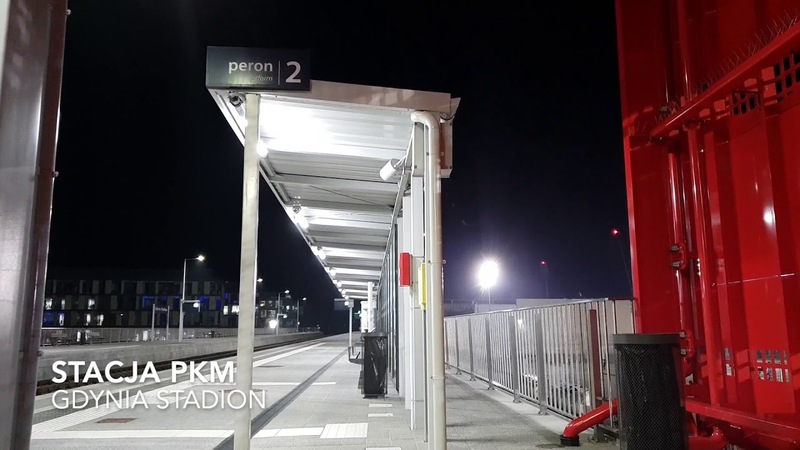 Modernised railway station in Gdynia is light down with our INV320LED. Vandalproof light fittings have to handle the very high standards. Our fittings light down modern prison in Talin.